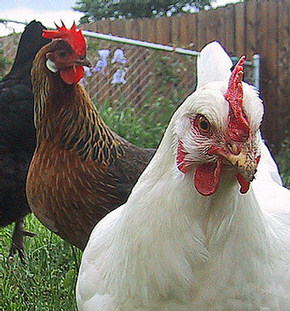 Caring for your chickens differs from month to month. As the seasons change the requirements for caring for your birds changes as often as the weather. Here is a breakdown of what you can expect month to month with your birds and what you’ll have to be prepared for when the winter and rainy seasons roll around. Often the coldest month, prepare for your waterers to freeze. Many chicken owners try to add artificial heat to their coops. Be sure that any wiring is out of pecking reach, that heat lamps are near the ceiling and consider attaching them to automatic shut offs and turn ons that will turn them on when it hits a certain temperature and turn them off when they reach another temperature. This will keep your chickens from becoming over heated in the cold! If you have a particular waterer that continues to freeze over, switch it out every morning with a spare that you keep inside and thawed. Remember! Egg production will likely drop during the extreme winter months. February is still cold, but things are beginning to warm up and your birds know it. Egg production is likely picking up again. Be sure to pick your eggs up in the morning, as soon after they are laid as you can. Frozen eggs can expand and crack the shell! Keep an eye on the waterers and start preparing for the muddy weather once the thaws come. Grass is beginning to grow and this means your chickens can begin grazing again! They may be happy, but with the melting snow and early rains your coop is likely full of mud! Invest in a good push broom and spend a few minutes every day sweeping the muddy build up out of your coop. Consider putting down a layer of wood chips to help absorb the extra water and mud off your chickens feet. These will be easier to sweep out than layers of mud! It is also time to worm your poultry. Don’t be surprised if this is the month you find out who this years’ brooders are. Broody chickens begin brooding in the early spring. You can either indulge the brood by giving them some fertilized eggs to set and hatch, or you can break up the brood by separating them from the nest for a few days with food and water. Keep and eye on all your hens! You may end up with more than one brooder and you’ll have to decide how to handle it as brooding hens will not take care of themselves. Begin dusting for lice, fleas and mites. The warmer months are the months where these parasites will really begin to procreate and become a problem if you don’t take measure to prevent them from even coming around. 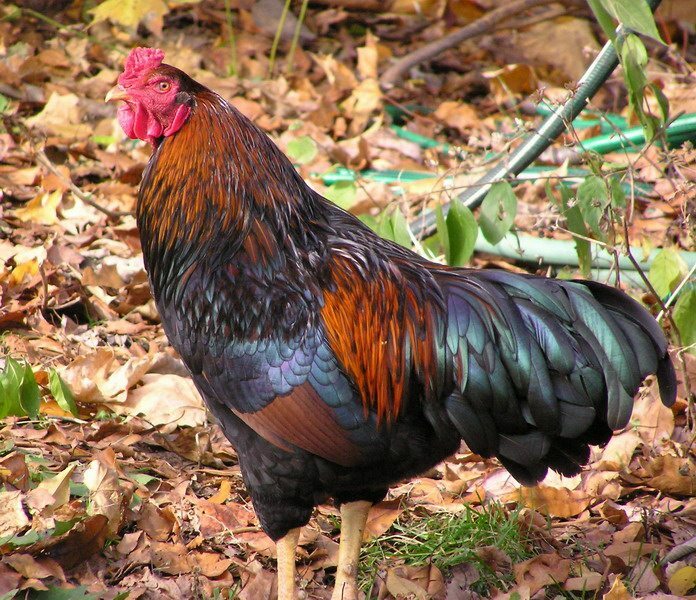 Dust your chickens, their coop, their roost and begin keeping any tall grass trimmed down. The summer becomes longer here and things start to heat up. Your birds shouldn’t be at risk of overheating yet, but start considering ways to add water when July and August roll around. Chickens will head to bed about half an hour before dark. If this is too late for you, bribe them with a handful of corn, sunflower seeds, or oatmeal. Keep up your deworming and dusting in these months. You may have a surplus of eggs; consider selling them or use them as bribes. Believe me, these eggy bribes can be very important. Remember those egg bribes? Want a vacation? Dust your birds before you go so all your neighbors have to do is make sure they bribe the girls into the hen house, shut the door and let them out in the morning. Offer your neighbor any eggs that are laid and make sure your summer system is simple enough that a child could do it, since they’re often the ones asked to do it anyway! Stock up on wood chips, make sure you get your feed stored where it won’t get damp, and begin preparing for winter. Those wood chips will help to keep mud from overwhelming you. The freezes are coming and with them come a whole load of problems you want to prepare for. If you’re dealing with rainy weather, use your wood chips or bark to keep the mud down; spread them on the floor of your coop if necessary to help facilitate sweeping. Double check your coop, make sure it’s water tight, that any wiring is safe and won’t short or catch fire. Change the light bulbs in heating lamps and break out your spare waterer. 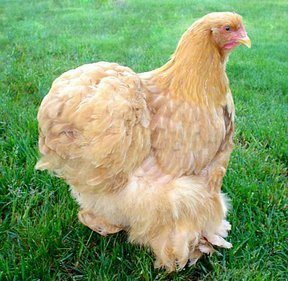 Your chickens may molt in October or November, whenever the temperatures get low enough to encourage them to re-fill their plumage. At times your chickens may look a little bald, but don’t worry, they’ll begin to fill out again. Laying may decrease or cease entirely through this period. Consider giving extra vitamins, this can encourage them to re-fill sooner. Make sure your water isn’t freezing. Add extra nutrients where you can with treats. Your chickens will head to bed early and be up later since they only like to be out when the sun is out. Don’t be afraid of letting them play in the snow, when they get too cold they’ll head back inside.